German football club FC Schalke 04 will be playing in more than just the Bundesliga next year, after they were named as the second team to join the new Pro EvoIution Soccer 2019 esports competition. The club, who already has a League of Legends team and several FIFA pros, has followed the footsteps of FC Barcelona to join the so-called eFootball.Pro league. 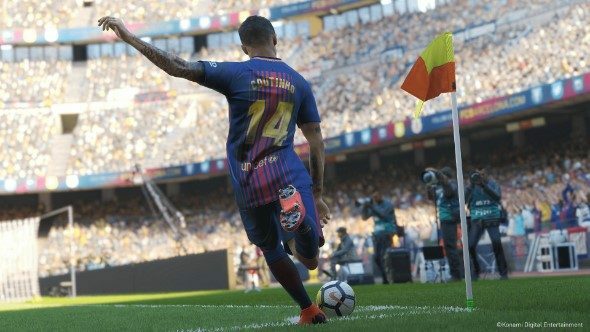 The Bundesliga club was one of the first to enter the esports market, and its recent partnership with KONAMI, who is involved with the league, has certainly played a big part in its inclusion. Which of our best PC games would make a good esport? “We are very happy with this signing for eFootball.Pro. Schalke has a lot of experience in eSports and will help us achieve a quality competition,” eFootball.Pro founder and Spanish defender Gerard Piqué says in a press release. “Schalke 04 will be a very tough opponent to Barça, but so will be the other teams that will be announced to join the competition. We don’t yet know much about the eFootball.Pro League, and how it will operate alongside the current PES league, but we should hopefully have more answers after the World Tour 2018 finals next month. And with more and more professional sports teams jumping onto the esports bandwagon, you might well see your favourite team joining in the near future.